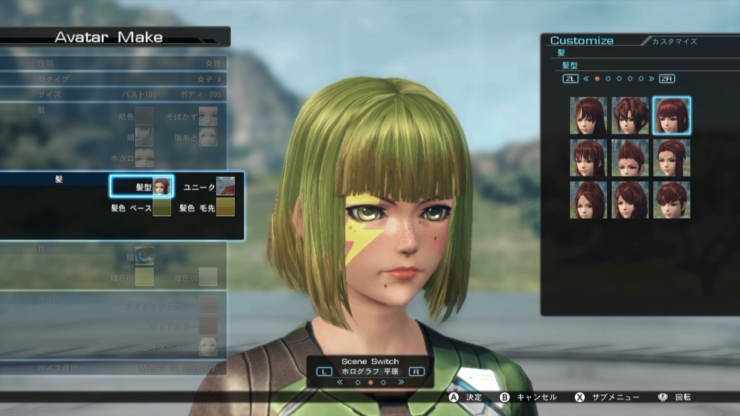 Xenoblade Chronicles X has released today in Japan, and with that comes a profusion of new and exciting information. Details have thus been revealed that show off the deep character customization options that are available to the player. 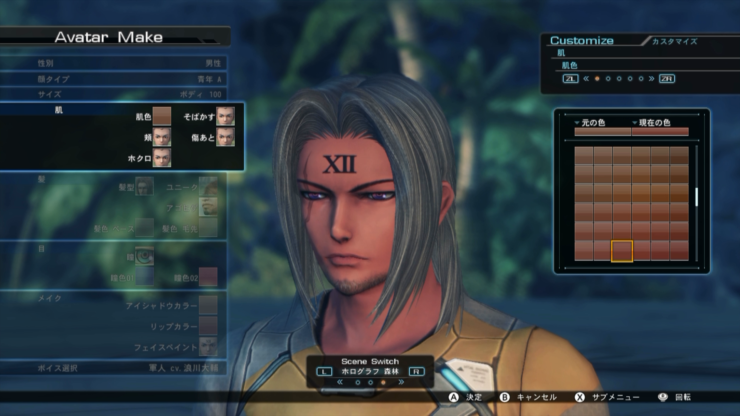 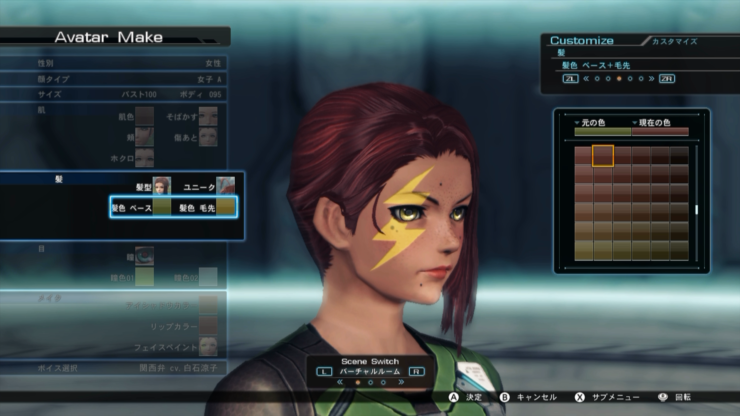 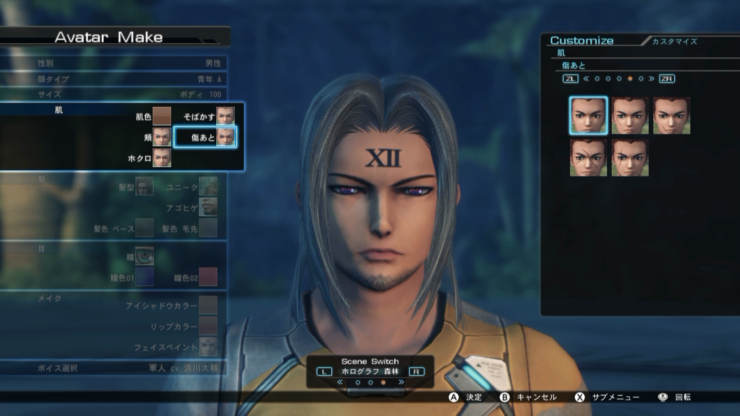 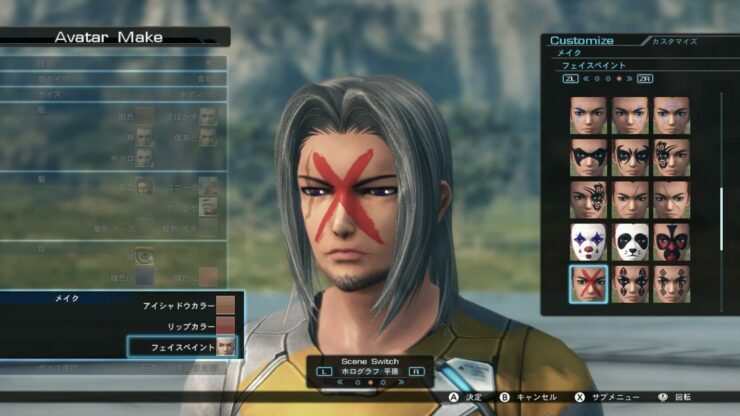 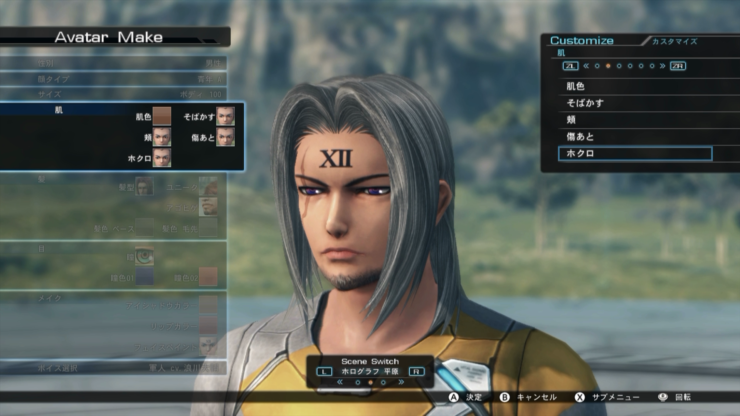 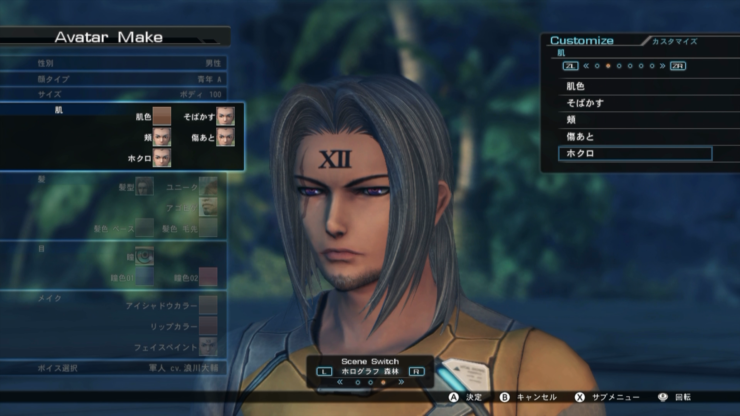 Xenobalde Chronicles X has more character customization options than you’ll know what to do with. 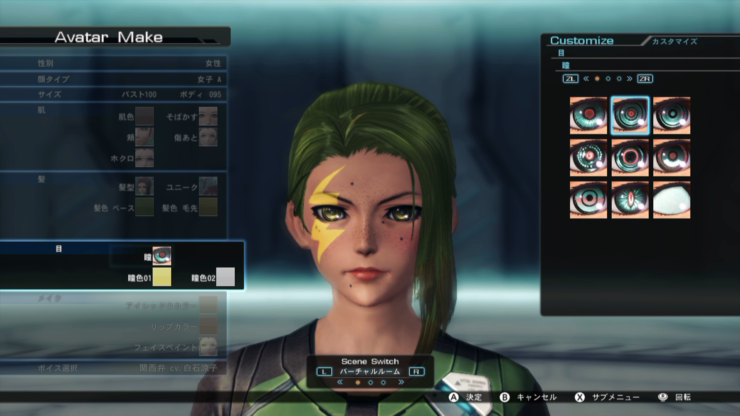 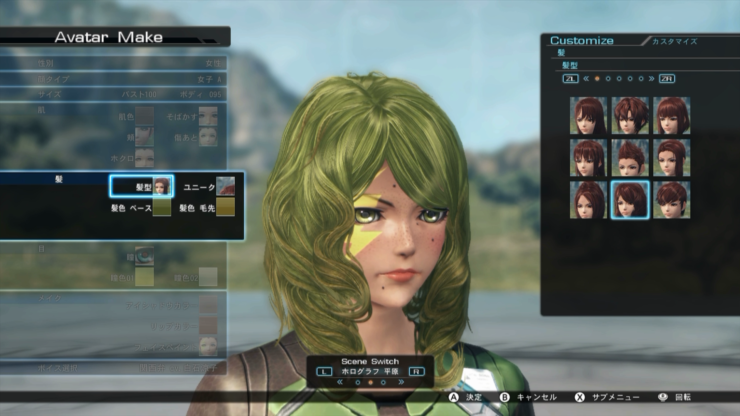 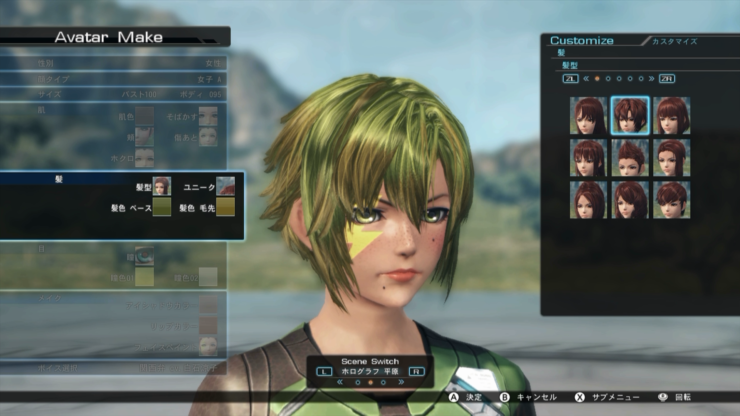 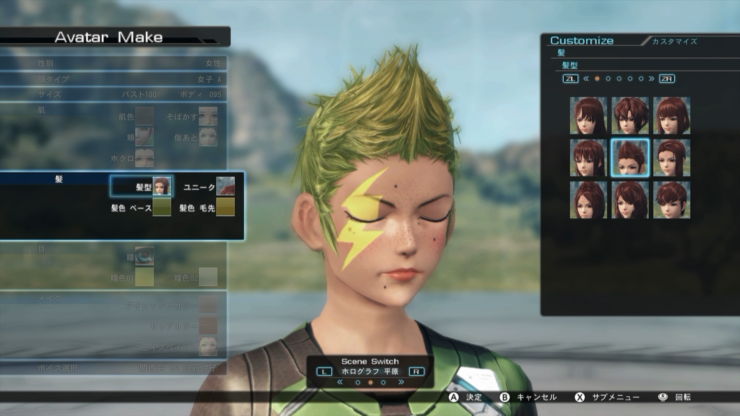 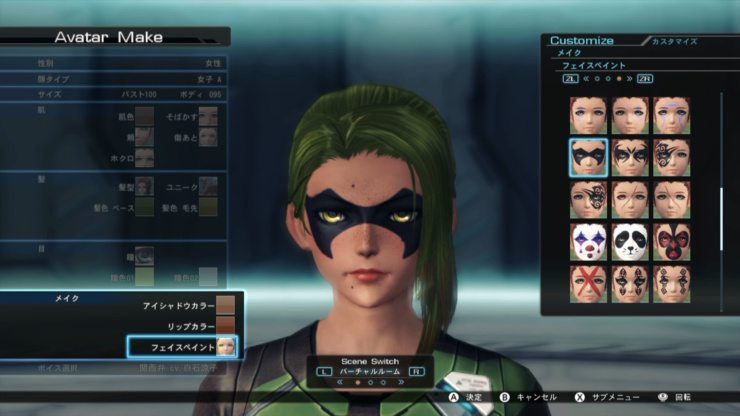 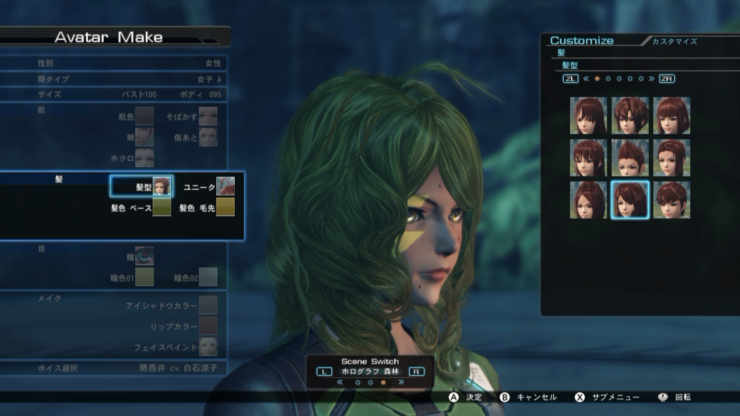 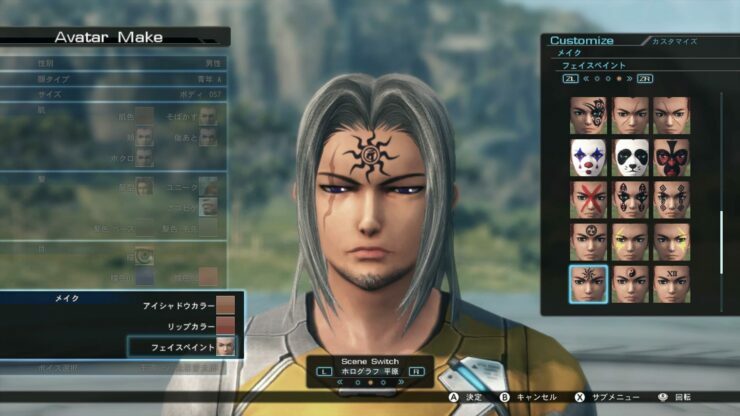 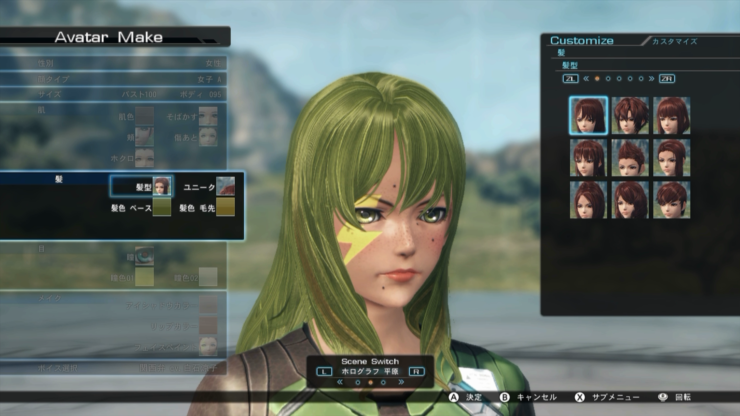 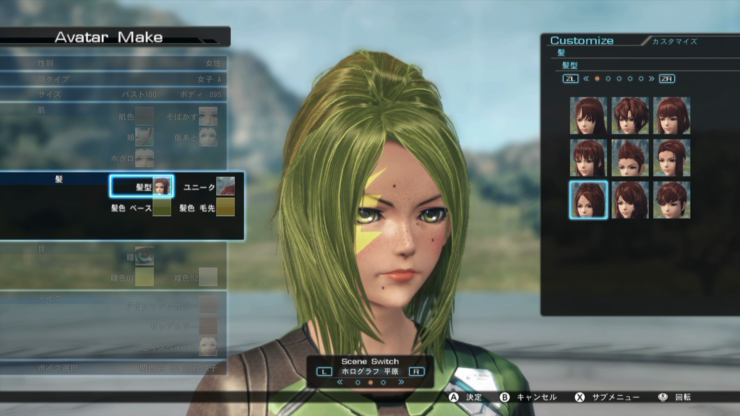 There are so very many ways to make your character absolutely unique within Xenoblade Chronicles X, from your hair style, eye shape, skin color, facial markings, and much more. 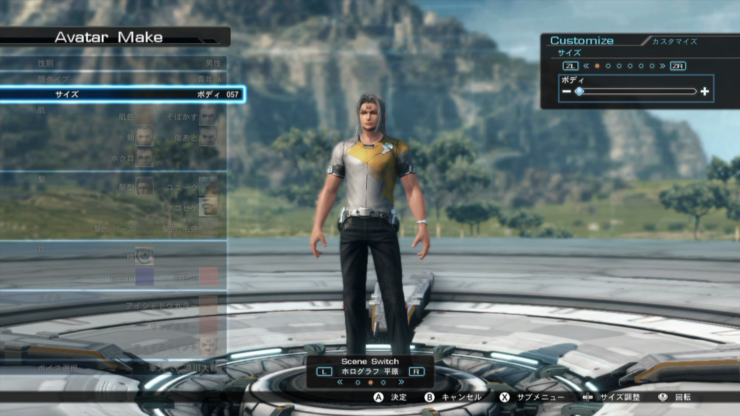 And within each option seems to be nearly limitless ways to create the perfect embodiment of yourself. 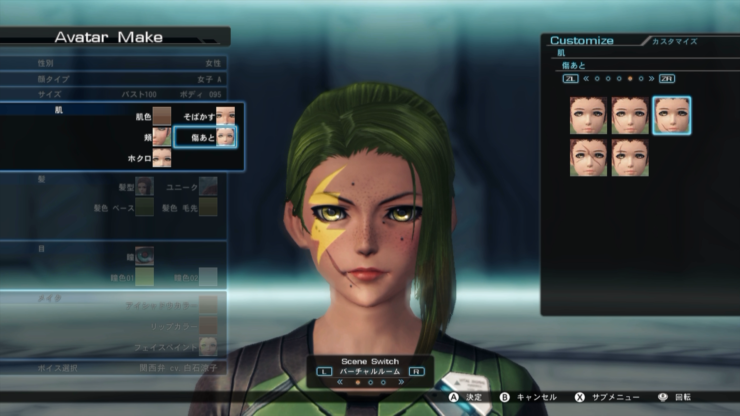 Dualshockers, once again, has been kind enough to record a few videos that show off just what can be changed for both male and female characters, and how to do it. 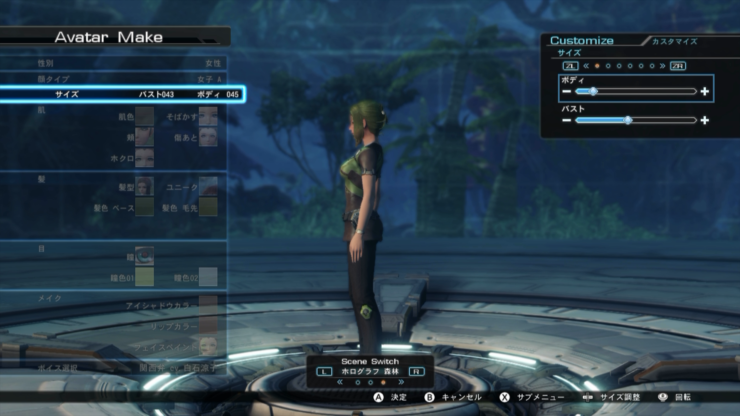 Keep in mind that the game is in Japanese as the rest of the world won’t be getting Xeonblade Chronicles X until later this year. 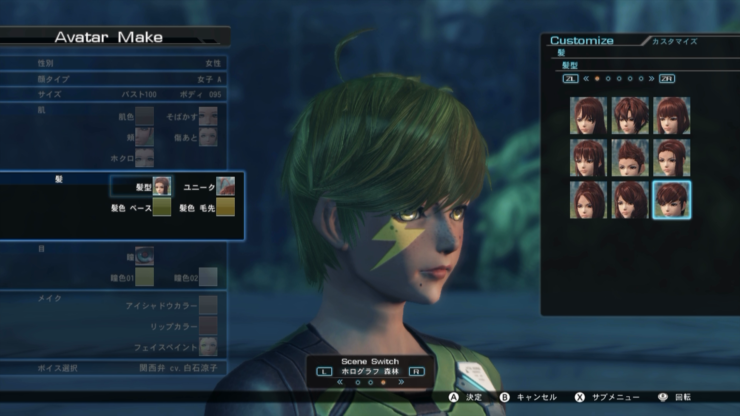 But they take us through every conceivable option to show us the potential for truly original characters. 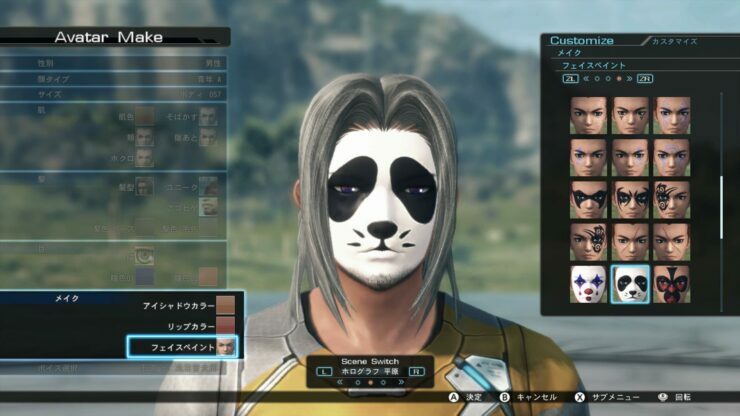 The ability to provide a unique character in a game isn’t a new concept by any means. 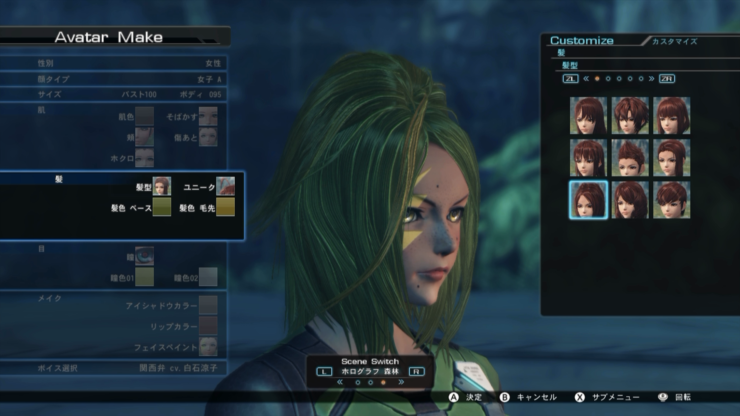 Many RPG’s tend to let you manipulate the same traits with as much or more customizing. Some games even allow you to adjust facial geometry or import photos to make a representation of yourself easier to realize. But what this is, though, is the first deeply embedded customization engine in a JRPG from Nintendo, and it opens up a lot of doors for the future. Why wouldn’t you want to make a unique character? 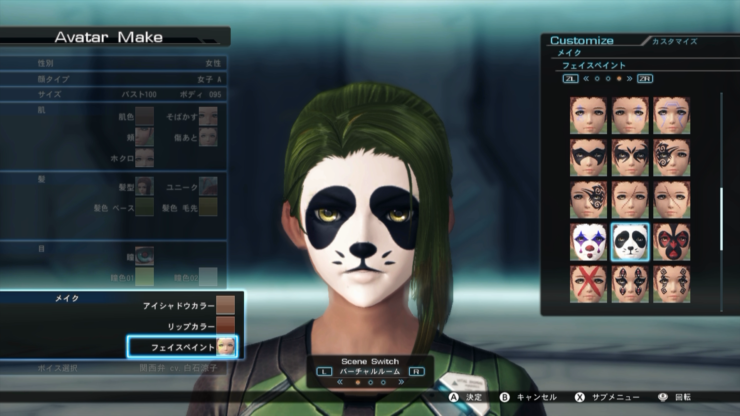 The possibilities are actually pretty exciting for being able to express yourself in game in ways that you otherwise may not in real life. That and you can do some pretty hilarious stuff and just make a really silly looking character. 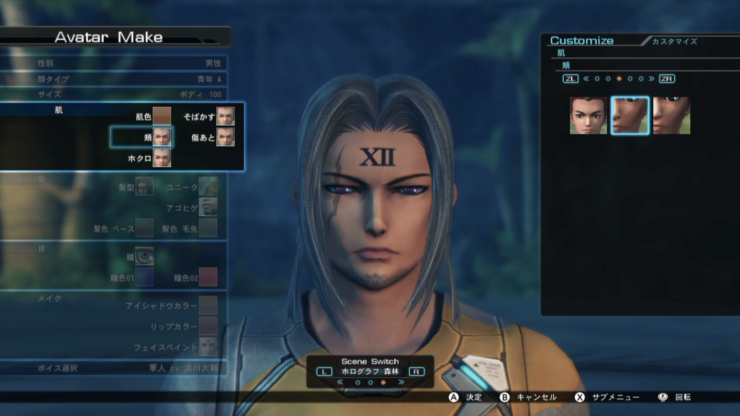 Enjoy the great videos embedded below, courtesy of Dualshockers, that show off all the great customization of both male and female characters in Xenobalde Chronicles X.